eBook – Words Are My Life . 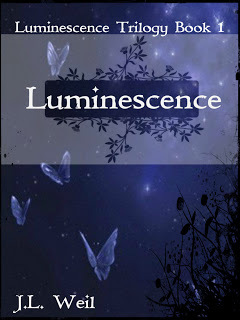 . .
Luminescence, Book 1, by J.L. Weil, is wonderful!!! I really enjoyed this book! The beginning was a teensy bit slow but, once it got going, it just pulled me in. The heroine is your average teenage girl, except, she’s not. Turns out that she dreams about a boy that is very real to her. He’s her best friend and they spend a lot of time together, just in her dreams. Suddenly, she runs into another boy at school and she’s torn. Being attracted to two cute guys is okay, isn’t it? Even if one of them’s in your dreams and the other’s a witch! My only complaint about this book, was the same as most other reviewers’, the editing. There are a lot of typos and misspellings. So many that I had to go back and re-read a few sentences before I was able to figure out what some of them meant. In my opinion, though, correct the errors and the story is wonderful! Hold the Front Page! Cover Art is Going Out of Fashion? Given that e-readers have no use for color illustrations, how will books of the future be displayed? 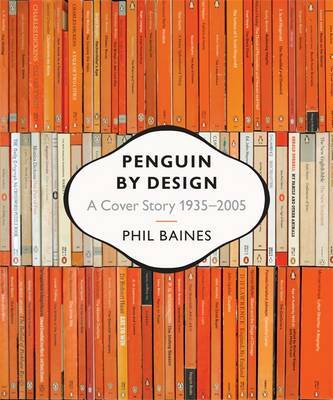 Leaf through a copy of Phil Baine’s Penguin by Design, and you’ll see the evolution of almost 80 years of book covers. From the stark formalism of Edward Young’s horizontal orange bands (admittedly offset by his cheeky logo), through German typographer, Jan Tscichold’s even starker redesign of the late 1940’s, to Germano Facetti and Romek Marber’s 1960’s grids, and a host of visual experiments in the Pelican, Penguin Specials and Classics ranges, Penguin’s covers stood for many things besides the brand itself: for quality in literature; for a range of genres; for mood, atmosphere and style. And while Penguin’s succession of superstar art directors may have been masters of the form, the cover has remained of central importance in publishing and bookselling for all involved, not least authors, up to the present day – but not, perhaps, for much longer. Covers increasingly exist not as foot-high billboards and paintings on shelves but as blurred, compressed little icons in lists on websites and devices, inscrutable jumbles of pixels that tell us little about the work. When read on an e-reader, books open to the first page of the text; the traditional cover increasingly seems irrelevant. So will a new method for displaying books emerge? One possible path is offered by musical platform Soundcloud, where songs are presented in the form of soundwaves. Could a book’s text give form to its cover in a similar fashion, becoming its own representation? It’s not so far-fetched. The work of a designer like Stefanie Posavec, whose Literary Organism visualizes Kerouac’s On the Road, as a branching flower of sentence structures and themes, is more like a book as we understand it in our era of increasing information literacy than any photograph or drawing. “Never judge a book by its cover”, runs the adage, but if text and cover become inseparable, then it may be possible to do so. I think the book cover is an important part of the whole story experience. I’ve picked up some of my favorite books because the cover caught my eye. 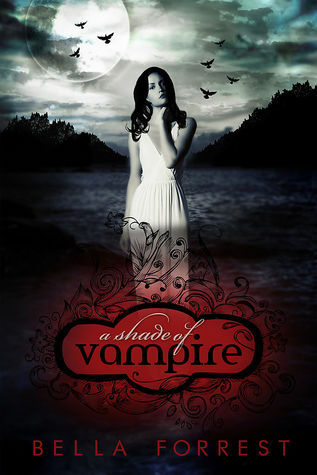 I know you can’t ‘judge a book by its cover’ but a lot of the time, you can tell what kind of book it is, by the cover. If it’s a romantic comedy, the cover is usually colorful with a quirky female character in a silly situation, like walking dogs with leashes wrapped around her legs, for example. A historical romance may have the heroine in a long, flowing gown while likewise dressed couples dance in the background. A western romance may have a hunky cowboy pushing his hat back while he watches horses prance across a field. If you love books, you know what I’m talking about. Sadly, this isn’t true for all books, digital or paper. I hate it when the cover doesn’t match the story. A huge point of the story may be that the heroine is a ‘flaming redhead’, yet, on the cover, she’s blonde. Huh? Or the hero is dark and brooding, yet the guy on the cover? You guessed it, smiling as big as the sun with twinkling blue eyes. Do some of the people in charge of picking the cover even read the story? Another issue I have with covers is the digital, ebook covers. Some of them are so lame! I know a lot of the books are being self-published, and I truly admire the authors for their bold choice. Some of the best books I’ve read were self-published. I just wish that some of the authors put a little more effort into choosing the cover to represent their hard work. I know that not everyone is artistically inclined but there are all sorts of free digital pictures online (the sites clearly mark the pictures as free and non-copyrighted) and, though it’s difficult to identify books you’ve read by their covers any more, as they all seem to pick from the same site, a lot of these pictures are very attractive. There are even free instructional sites on graphics, and free graphic editing sites. Sure, they’re not all as sophisticated as say, Photoshop, but they’ll serve the purpose. Besides, if you’re not very artistic, Photoshop can be pretty complicated. You just want a cover that’ll attract the readers’ attention so they’ll buy, and read, your book. Once they discover how brilliant your story is, they’ll buy all your books. Right? Usually, but you’ve got to get their attention first. If you’re like me, books are more than something to read. They’re to be savored and collected. Much to my hubby’s delight (that’s called sarcasm, by the way) I honestly own enough books to start my own used book store. This is after I’ve gone through my books and singled out the ones I could bear to part with and/or figured I’d probably never read, and donated them to the library and local women’s shelter. There’s my ‘To be read’ bookshelves, my ‘Favorites, never to be parted from’ bookshelves, and my ‘I might read these one day so I better hang onto them’ bookshelves. There are also the shelves with the books that the kids might need or want to read some day, like the ‘classics’ or books that might help them in school, and the shelves with the reference/information books. There are also Rubbermaid containers, a lot of them, filled with books that I loved as a child, a teenager, a young adult, and since then. There are books in the attic, books in the garage, books in the closets (Yes, my kids are forbidden to touch my containers in their closets) and books under the stairs. In all those books, the covers are very much admired and appreciated. How else would I be able to identify which book I was looking for, if not for the cover? I totally get into the Kindle ebooks offered for free. I subscribe to several of the sites that let you know which books are free and when. I pass these on to my book-loving friends via Facebook and Twitter, and download them myself, religiously. I’ve reached over 20,000 ebooks as of last week. Yes, you read that correctly. 20,000. Thank God, Amazon allows you to keep your books archived. As it is now, I can’t upgrade my phone because I don’t have enough space on it with my Kindle App full. I’ve got to keep some of the books on there, though, or I’ll forget which ones I wanted to read first. I know… I need help. My Kindle is full, too, and runs so slow when I’m downloading. I’ve been trying to cull through them to lighten the load and, getting back on subject, this, again, is another place where the covers come in handy. How do I keep them straight on my Kindle if there are no covers? I can’t remember all those titles and authors. I see a cover and get tingles. “Oh, yeah! That’s the book I wanted to read next!” I think, so happy that I figured out which one it was. Because you know, trying to decide which book to read next when you have over 20,000 to pick from, is no easy feat. After much contemplation, I’m thinking that book covers are a necessity. Kind of like air and water? You really cannot live without them, you know? I mean, think of all the frustration you save by having the covers to look at. How many awesome books would we pass up if that delightful cover with the sweaty, naked six pack on it didn’t catch our eye? I’m thinking, a lot, and really, life is too short to pass up an awesome book.